The International Laser Class Association is surprised and disappointed by the announcement today that the World Sailing Board has recommended to select new equipment to replace the Laser and Laser Radial Classes for the one-person dinghy events in the 2024 Olympic Games. See the details of the World Sailing announcement here. The announcement comes as part of the equipment reevaluation process that has been ongoing since May of this year. According to the published reevaluation procedure, the board’s recommendation will now be presented to the World Sailing Council for acceptance or rejection at the upcoming World Sailing Conference later this month in Sarasota, Florida. ILCA is pleased to note that the board’s announcement indicates that the Laser and Laser Radial Classes will be included in the proposed equipment “sea trials” that will be held if the board’s proposal is approved by a vote of the World Sailing Council. 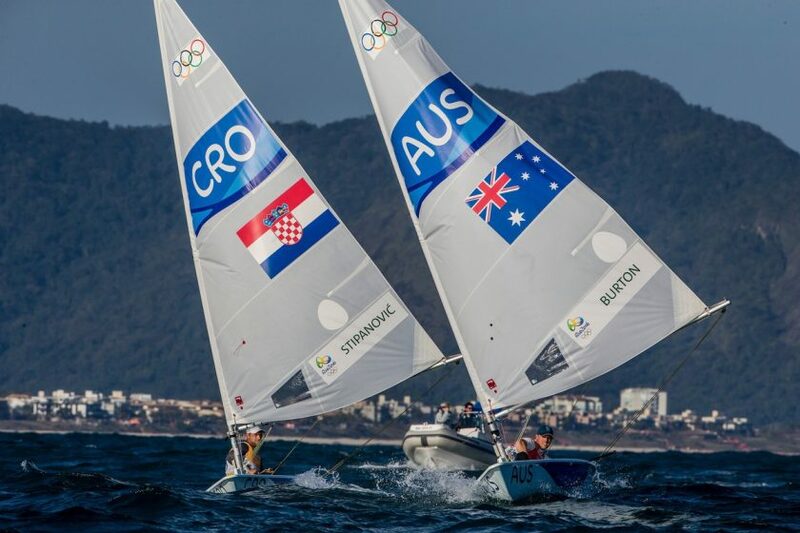 The sea trials would take place among the Laser Classes and the three other shortlisted candidate classes, so the possibility remains that the Laser and Laser Radial will ultimately be confirmed as the equipment for the 2024 Olympic one-person dinghy events. ILCA is committed to supporting World Sailing to ensure that sailing remains an Olympic sport, and we will continue to comply with all the requirements of the reevaluation process in order to assure that the Laser and Laser Radial Classes remain part of that Olympic program. Because the Laser and Laser Radial Classes represent the majority of all countries participating in Olympic sailing, ILCA believes that replacing them would create a devastating and unnecessary disruption for the sport and could very well jeopardize sailing remaining in the Olympic games. Universality, or the number of countries participating in an Olympic sport, is one of the key metrics used by the International Olympic Committee to evaluate each Olympic sport. 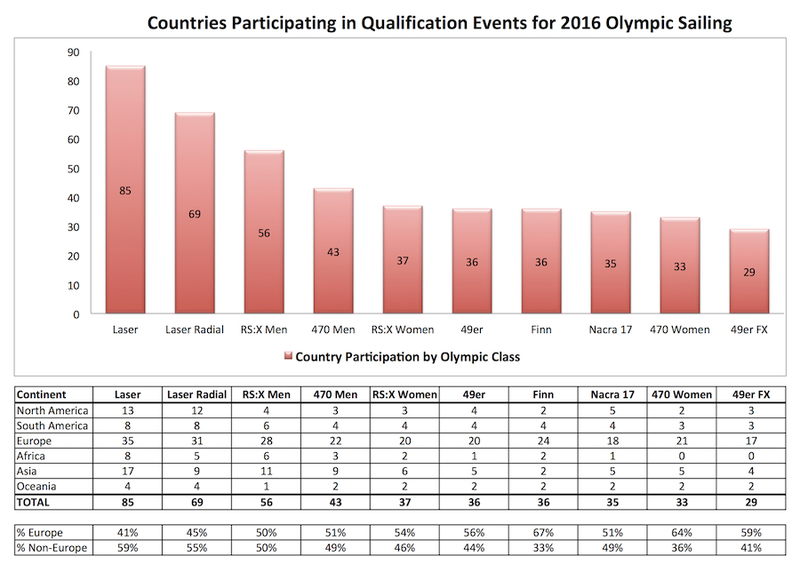 The chart below shows the number of countries participating in Olympic qualifying events for the 2016 Games and clearly illustrates the importance of the Laser on sailing universality. In fact, for the last Olympics the Laser and Laser Radial Classes combined represented 89 of the 94 countries participating in qualifying events across all Olympic classes. And ILCA is already on track to beat those numbers for 2020. It has taken over 40 years to grow the reach of the Laser Classes to the point seen on the chart above. It is unclear how another class could duplicate in four years what ILCA and the Laser builders worldwide have built over 40. Considering the other pending changes to Olympic equipment on the World Sailing agenda, if the Laser and Laser Radial Classes are replaced, the obvious question is: Can our sport survive this level of upheaval and remain in the Olympics? At this time ILCA believes it is critical to our sport that the Laser and Laser Radial Classes are retained as the foundation of the Olympic sailing program. ILCA is confident that the Laser and Laser Radial Classes will prevail in any evaluation based on objective criteria including performance, price, quality, universality and the strength and stability of the class association. In advance of the upcoming World Sailing meeting, ILCA will be reaching out to our members, our district associations, and all the national sailing federations to help ensure that decisions are made in the best interest of our sport.